Archaeological sites are sites of destruction. They are destroyed by people for all kinds of reasons, including good ones. Excavation, too, after all, is a kind of destruction. And some destruction is inevitable. Especially in countries like Greece, there has to be a balance between development and heritage. People need to build houses and roads, after all. And farmers need to work their fields, which in this day and age often requires modifying the natural landscape to make it more conducive to mechanization and irrigation. One of our sites from 2014 was pretty badly bulldozed this year. I found the evidence of it two days ago, when I was driving around our survey area inspecting our old sites. 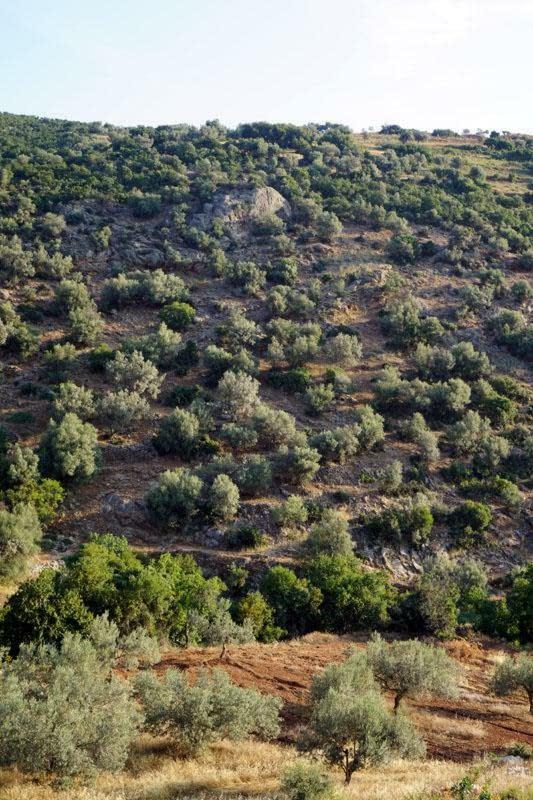 A farmer has purchased (or perhaps he always owned) a large number of contiguous plots of land, and he’s bulldozed and plowed them in order to make a large apricot grove. In the process, he used his bulldozer to make large terraces up the hillslope. These cuts have clearly sectioned archaeological levels. There is freshly-broken material everywhere. It was upsetting to see the destruction, and it was disorienting to walk around a once-familiar landscape that suddenly made no sense to me. I couldn’t quite remember what exactly had been there before, where the fields were where in 2014 we had found some whole loomweights and spools. On the one hand, I can’t really blame the farmer. If I had to guess, I’d guess he didn’t know what he was destroying. He also needs to earn a living. The field isn’t so big; it wasn’t some faceless, evil agroindustrial villain that did this, I don’t think. Agricultural modification of the landscape is as old as the hills (figuratively). And this is what survey is for: rescuing some information for archaeological research. In 2014 we collected an enormous amount of data about this site. Short of excavating it, we’ve extracted almost as much data as we can, and in our publication we’ll be able to say quite a lot about it. And part of the reason to do survey is to capture this information before development destroys it forever. On the other hand, the destruction bugs me. I wish that this farmer hadn’t done this, that our site could have stayed the way that it was, split into little, grassy fields. I know. It’s a dumb, romantic wish. 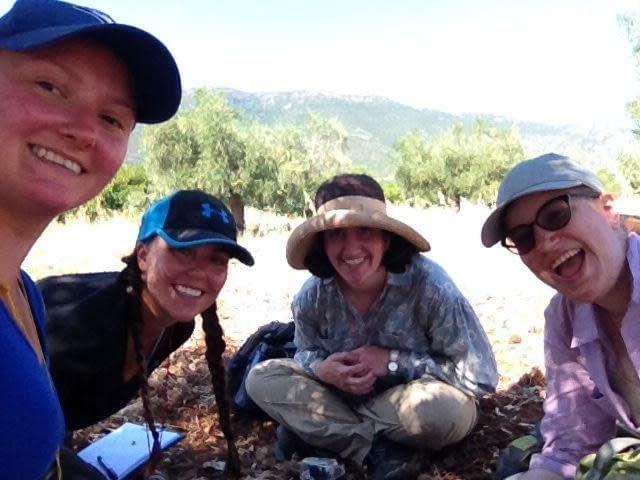 The Western Argolid Regional Project (WARP) has just concluded its second field season. Whereas in the 2014 season the project surveyed in the area of the modern village of Lyrkeia, which sits on the northern edge of a wide open mountainous river valley, the 2015 season focused on the lower reaches of the Inachos river as the valley begins to flatten out and open up into the Argive plain, in the territories of the modern villages of Schinochori and Malandreni. Over the course of six weeks (3 June — 14 July), our six field teams intensively surveyed 6.8 square kilometers in 2,699 survey units, criss-crossing the sometimes rough and rocky terrain of this year’s survey area. 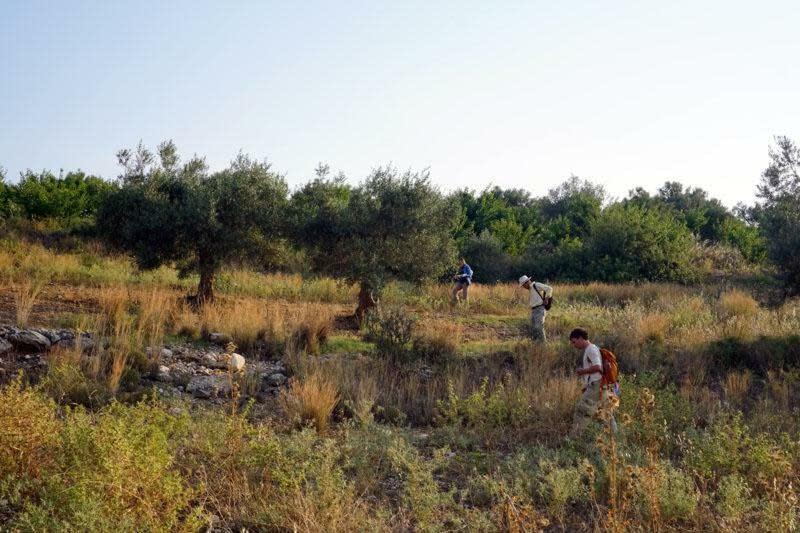 Like last year, we found a wide variety of artifacts and sites, from the Early Bronze Age to the Modern period, with Archaic to Hellenistic predominating. The total artifact density for 2015 was about two thirds of that from the 2014 field season. This is very surprising considering that (1) we were operating in such close proximity to Argos (about 10 km) and (2) this year’s survey area is a much more actively utilized modern landscape, with many more field houses (kalyvia), threshing floors (alonia) and other agricultural installations. Many of these were no longer in use, giving us an opportunity to do some targeted survey and study of abandoned modern buildings. 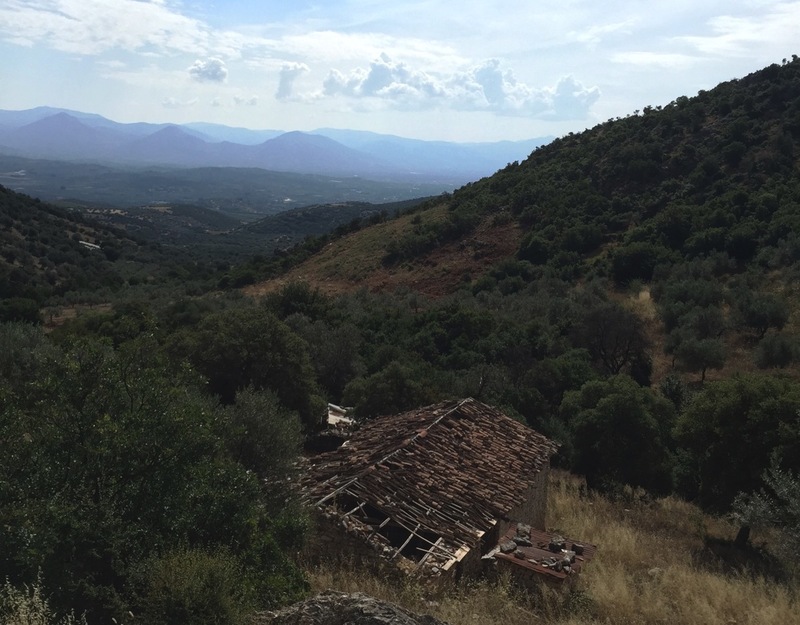 At next year’s annual meeting of the AIA we’ll be presenting a paper based in large part on this year’s work entitled “Roads, Routes and Abandoned Villages in the western Argolid” as part of a colloquium on deserted villages organized by Deb Stewart and Kostis Kourelis. Our team was bigger than last year’s: we added an extra field team and in total there were 22 field walkers, evenly split between students from Wilfrid Laurier University (Scott’s home institution) and the University of Colorado Boulder (Sarah’s home institution). 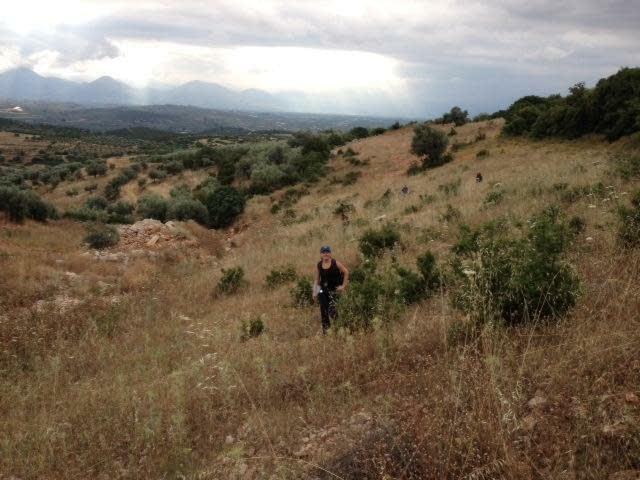 They patiently endured the less fun parts of the Greek landscape, like spiders and ankle-turning fields of weeds, with good cheer, and even embraced the challenge of walking directly up rocky slopes! We were lucky to retain almost all of our graduate students from the 2014 season, so students were expertly guided by a remarkable group of very experienced, intelligent, and hard-working team leaders. 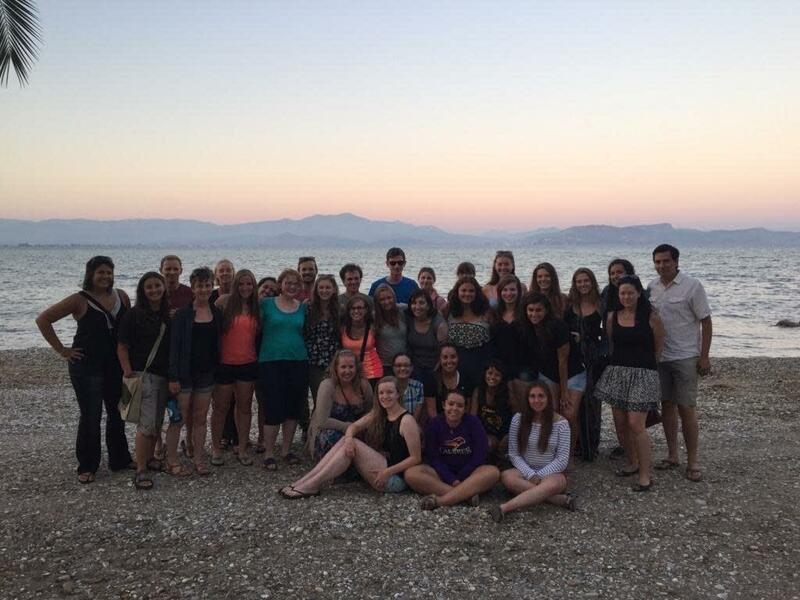 Like last year, we took students on field trips to sites in the northeastern Peloponnese, including the CIG excavations at Stymphalos, but there were some changes, too: this year we went as a team to a performance at the Epidauros theatre. 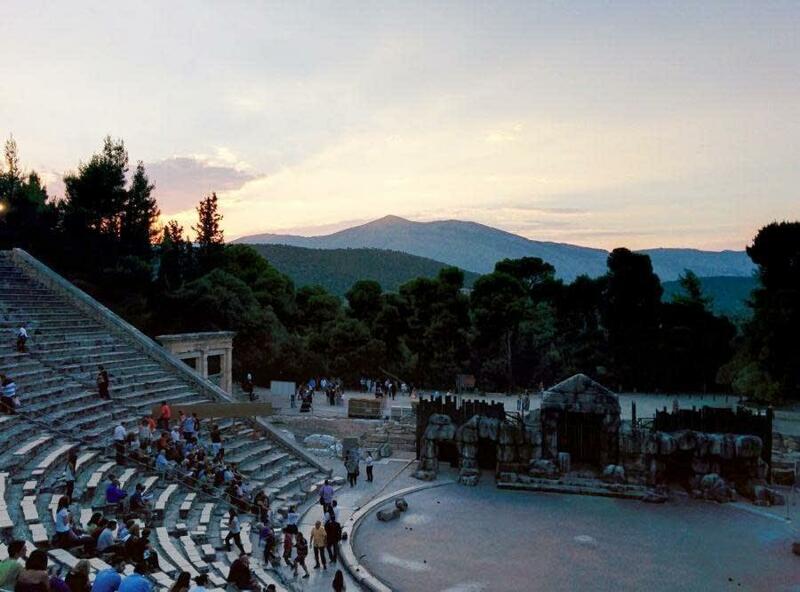 We saw a riveting performance of Euripides’ “Trojan Women” by the National Theatre of Greece. To help us appreciate the play, Professor John Gibert (University of Colorado Boulder) visited the project for just over a week and gave presentations on ancient theatre (in the ancient theatre of Argos) and on the “Trojan Women” specifically. Also unlike last year, this year we were joined by some new staff: Ioanna Antoniadou, an archaeologist and anthropologist who worked with the team for eight weeks as the project’s ethnographer, and Joe Desloges and Pamela Tetford, fluvial geomorphologists who studied the Inachos river and its effects on the landscapes of the western Argolid. These specialists are fleshing out our understanding of the recent past and the present of the local communities with and around whom we work, as well as the geological past and present of the region. Although these studies are still preliminary, they have already helped the project immeasurably, not only for research but also for student training. For more information on WARP, please visit our project website and blog at westernargolid.org! Over the last few months, I worked my way through Matthew Crawford’s Shop Class as Soulcraft (2009). The book argues for the value of “real,” hard work which he distinguishes from the professions that dominate the white-collar, college-educated, information-based, and academic worlds. Crawford himself straddles the line between academia, where he’s been a fellow at various prestigious universities, and work at his Richmond, Virginia area motorcycle repair shop. On the whole, Crawford finds the latter work not only more challenging, but also more morally rewarding in that the relentless reality of vintage motorcycles refuse to be re-imagined, to succumb to elusive academic arguments, or problematized in more nuanced ways. If he wanted to make a living, he had to fix real, mechanical problems for his customers. The book is well-known and has been reviewed by more thoughtful critics than me. It was fun to think about this book while I worked away on the landscape of the Western Argolid with the Western Argolid Regional Project. 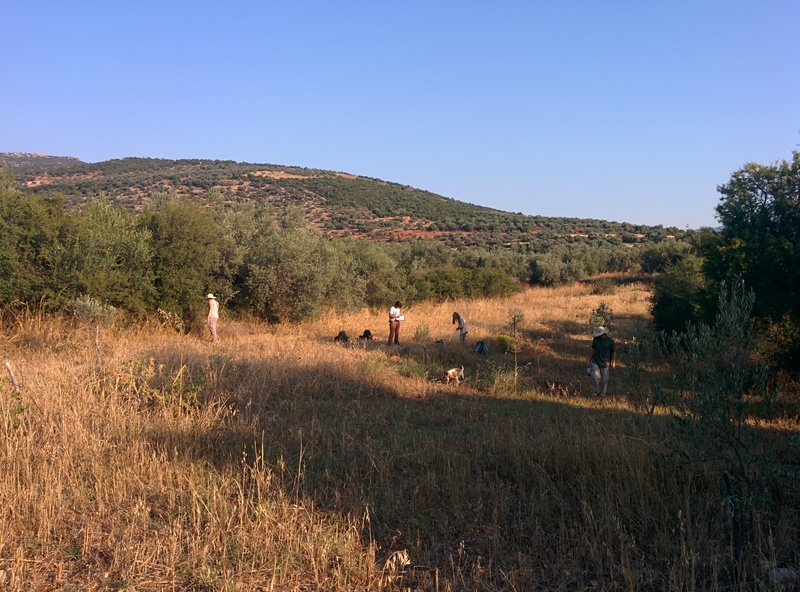 My job on the project was relatively unspecific, but I spent most of my field days walking our survey with one of our talented graduate students team leaders and dividing it into units to be walked by one of our 5 or 6 field teams. 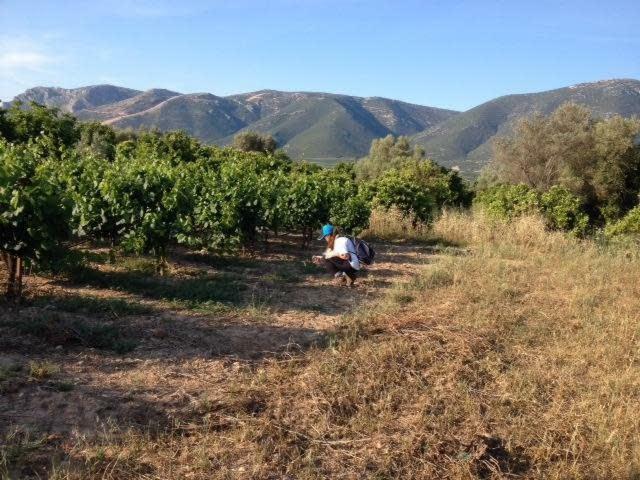 On an average day, we walked 5-7 miles through olive, orange, and apricot groves, up and down terrace walls, and through dense patches of maquis. As I’ve noted on this blog before, it was hard work, but at the end of the season, I felt like I had a much more thorough understanding of the landscape than was possible from viewing the splendid World View 3 satellite images on my laptop. This got me thinking about how important having the right tools for my job is. The right tools were not important in the abstract way that having the right software for my laptop made a job easier, but in a genuinely physical way. 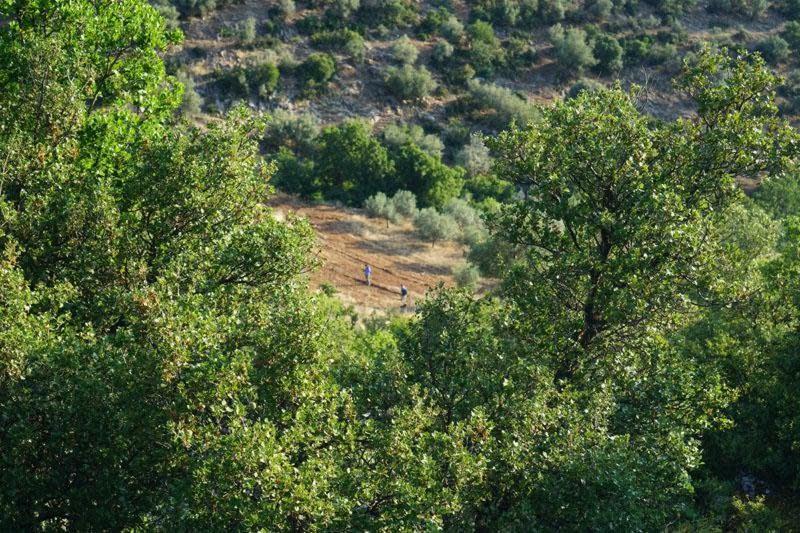 For example, having the right pants for hiking around the Greek countryside prevented my legs from being cut to shreds by the thorny vegetation of the Mediterranean. Over the past four or five years, I’ve discovered the value of long-sleeve work shirts to protect my arms from sun, thorns, and insects. Boots are another matter entirely. This summer, I wore a pair of decent (and rather expensive) boots that barely stood up to my day-to-day. They were rugged enough to not disintegrate, but they did not provide enough cushioned to protect my feet from the daily pounding. The right pants, shirts, and (probably the wrong) boots did remind me that there were physical realities to archaeological work that directly related to the kind of data that we collected from the field. I realize that other academic scholars confront these kinds of realities daily – whether they relate to the access hours of an archive or the maintenance of a fussy instrument in lab. At the same time, I wonder whether the relationship between our research and our bodies in archaeology (and this is true of all of the field disciplines) anchors our thinking in the same landscape (and perhaps even a shared physical reality) as the people whom we study. Ceramicists take to the field! An unexpectedly positive response to the restriction on nonsite collections was found in the creation of in-field artifact-processing teams that examined the finds in their contexts of discovery. 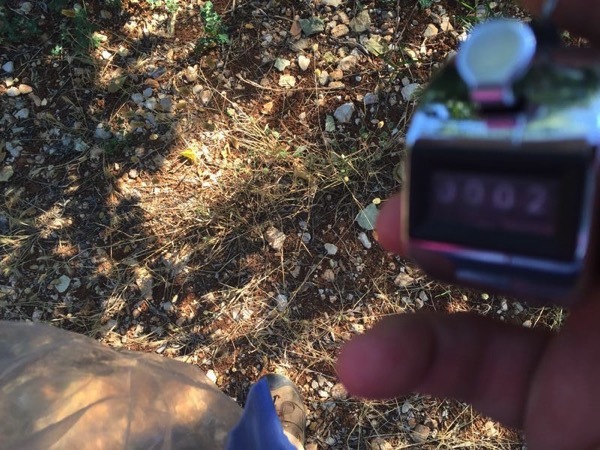 In-field processing became a fundamental component of our integrative philosophy, and serendipitously enforced our inclination to limit artifact collections for other reasons: the negative impact on the surface archaeological record and the crisis of storage space in Greek museums. Having ceramicists out in the field isn’t normal for most field surveys. Instead, ceramic analysts are usually to be found in the lab, processing and analyzing material that field teams have collected. This is the way that WARP works, or at least, is meant to work: Scott and Sarah stay in our laboratory and read pottery during the day. The reason that we do this, in part, is because of limitations placed on us: our laboratory is secured by the guards of the local museum, and they hold the keys and they know the security codes. (The material in our lab is, after all, their responsibility as guards). So they open the laboratory for us in the morning, and they shut it in the afternoon. That means that our lab time is limited to 8 am to 2 pm at best, as we work around the regular working hours of the museum guards. Our field time is also limited by these hours: we need to return from the field by 2 pm, so that the artifacts we collect can be placed in our secure labotary/storage facility. Other projects are allowed to work in the lab in the afternoon and evening, after the field-work is done, but this is a luxury that is not available to us. So, if we’re going to keep up with the material we’re collecting (which is important for all kinds of reasons), Sarah and Scott need to be working full-time in the lab. The downside to this is that we miss their expertise in the field, and they miss out on experiencing the landscape as they would like (and as we would like them to). What you’re seeing there is an awful lot of expertise, collecting all the good stuff — by which I mean diagnostic bits of pottery and tile. What I want to stress is that what we gain in efficiency by having Scott and Sarah in the lab we lose in in-the-field expertise. We lose what EKAS had: all of its experts in the field at once. Indeed, having Scott and Sarah in the field on Tuesday was incredibly useful, as they were able to pick up material that gave us a lot more chronological and functional information about the areas that are of particular interest to us. It’s also incredibly useful for the project to have our experts out in the field because invariably the more sets of knowledgeable eyes we have on our survey area, the better our interpretations will be. Sarah will look at the landscape differently than I, but the best interpretations will take account of both of our impressions and understandings. Perhaps this is yet another example of the trade-offs between efficiency and expertise. It is efficient, given the restrictions under which we work, for me and Bill to work in the field and for Sarah and Scott to work in the lab — mostly because Bill and I would make a hash of our survey pottery — but this really limits the very thing that fieldwork needs most to produce good knowledge: expertise at the edge of archaeological discovery. “GOOD THINGS FROM BAD PLACES” (GTs) This is a special category reserved for particularly nice or otherwise interesting finds that were not found in their primary context, that is, they have been disturbed since their original deposition in the ground and are chance finds in another context. GTs do not actually tell us anything about the context they were found in, but we don’t want to Throw them because of some special quality they have. GTs get weighed and counted with the rest of the context and that information is entered in the Original column. GTs need to go to the museum after pottery reading. Make sure to check the GT box next to this object(s) in the database. This is my idea of a really good thing to find on an archaeological project. All this is a kind of introduction to my thoughts on Alex Kord’s thoughtful blog post last week. She is like every other archaeologist in the world in that she wants to find good things. We all get excited by the kinds of things that you get to see but not touch in museums. 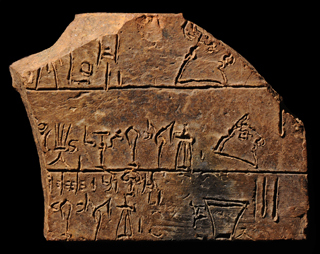 (Only a select few of us get excited by Linear B tablets and it’s probably not very cool to admit that you do). On the other hand, it would be a weird survey if we found high density units full of cool things everywhere, even in a place extremely rich in archaeological interest (like Greece), so part of the point of survey is to get positive and negative results: we find some high density units, but these are separated by units that are empty or that contain only a handful of finds. In fact, for the past 40 years survey archaeologists have been obsessed with low-density units, and our survey is no different. High-density units are seemingly easy to explain: they are “sites.” People lived there (or did stuff there) and left behind material that we find, some of it good but most of it very mundane. But what about low-density units? What if we find a single Archaic bit of pottery in a field where the conditions are good for seeing and recovering artifacts on the surface? What do we do with that? This is partly what Alex was asking herself to do. It’s a difficult question and one definitely worth asking. surface remains are just that — the junk you find on the surface — and nothing more. And I say, screw them. So, many early surveys ignored low-density fields. They instructed teams to keep walking until they found lots of stuff (high-density fields) and then they paid attention to documenting that stuff. The second theory has to do with manuring. The idea here is that manure is a fertilizer that would have been kept on farms and spread onto and plowed into fields, especially nearby fields. In some cases, bits of broken and discarded pottery would have been thrown on the trash heap and transported out into the fields alongside the fertilizer. If this is the case (or perhaps, where this is the case), then low-density scatters would be an index of agricultural activity. and neighbors sometimes picked clean even this remaining refuse. If this is so, David went on to argue, then low-density scatters could represent settlement, albeit a form of settlement that doesn’t result in high-density surface scatters but instead in small amounts of non-salvageable garbage that wasn’t stripped when houses were abandoned. These competing models for understanding low-density units aren’t mutually exclusive, of course: some lonely sherds may be random junk, others may be the result of manuring, while others represent abandoned small settlements that have been stripped and salvaged. But these are questions that have been central to archaeologists for decades and that continue to be investigated. So Alex showed us that walking fields doesn’t just build character; it also pushes you into thinking seriously about how we get material on the surface and what it can mean. 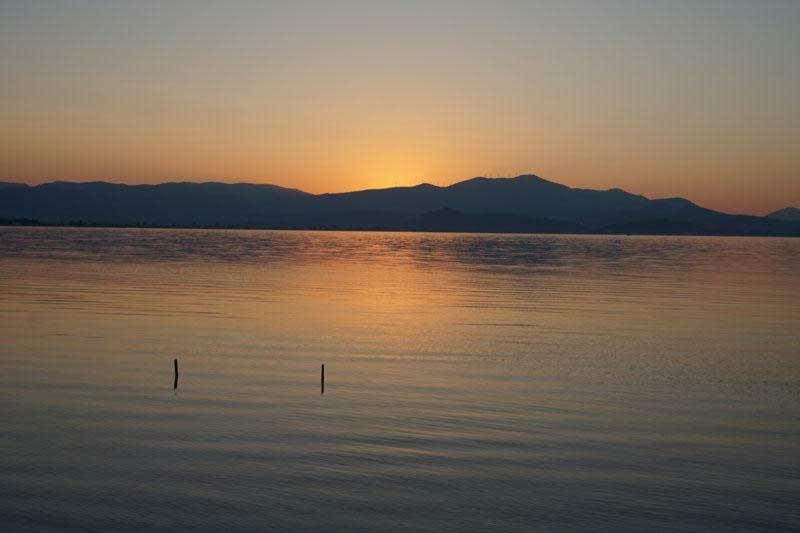 There is an awful lot of uncertainty in Greece right now, but it actually hasn’t affected us much. There are limits on how much people can withdraw from the Greek bank accounts (60 euros per day) but foreign accounts aren’t affected by this. This is fortunate, since we need to pay for things like food, and the preferred form of payment is cash. Credit cards aren’t commonly used in Greece — they’re expensive for the stores that use them — and now wire transfers are avoided since there are restrictions on withdrawals. There are lines at the ATMs, and our schedules are tight, so I’ve started waking up early and making ATM runs well before the sun rises. Other than lines at ATMs, and less activity at cafes and restaurants, there aren’t a lot of visible signs of the crisis. There is a lot of talk, of course: everyone talks about the crisis all the time in Greece. But the crisis has been borne with about as much nobility as I can imagine. Everyone has been incredibly hard at work the last couple of weeks, so much so that our day off was more or less forced on us. Most of us, especially me, would have happily gone back into the field today. In fact, yesterday I was telling everyone how much I wanted to go back into the field — as I lay on a cold concrete slab at lunch. We all clearly need some time off. (This did not, however, stop about 20 project members from playing three hours of soccer with our friends here in Myloi from 9:30 pm to 12:30 am last night; needless to say, the old men of the project, Bill and I, didn’t go). I’ve been really impressed by our students’ willingness to work really, really hard. They’ve embraced the challenge of walking these slopes, which often don’t yield much material. And we’ve been remarkably accident-free lately, too: we’ve all been drinking lots of water and being careful in the field to avoid turned ankles etc. On a personal level, this year has been very different from the last field season. Last year I spent a lot of time in Argos and Nafplio on administrative tasks associated with setting up our storage and laboratory space (our apotheke) etc. while Sarah and Scott were in the field. This year I’ve spent almost every day in the field, scouting, mapping, or field walking. And Sarah and Scott have read all of the finds as they’ve come in, something that was impossible to do last year. The systems that seemed to take so long to set up last year, moreover, which include everything from how we do our lunches to organizing teams in the field, have run smoothly this year, so that this year has had a very different feel to me than last year. A lot of the credit goes to our incredible team leaders. As I’ve said often to everyone who will listen, at this point we directors would have to begin an active program of sabotage (like sending them off to do crazy things) to derail them. As a field walker, my job is to collect data contributing to a overall understanding of the survey area. I suppose anyone reading the WARP website would understand the purpose of the project and the job of a field walker. The problem is that I mistakenly saw my job as finding things, and became focused more on trying to find interesting artifacts than to collect data. This ultimately leads to disappointment as we walk empty unit after empty unit. By the end of the day, I’m left feeling disappointed and jealous of the other teams’ success: neither feeling is one I particularly like. The only way I have found to combat these feelings is to think about my worker in relation to the bigger picture of WARP, discovering the nature of human activity in the Western Argolid (yes, I did steal that phrase right of the WARP website). Doing this forces me to ask questions about every unit and see them all in relation to each other. So on a day when my team has found nothing, but the team working in units right next to ours has high density units, I start thinking about why that might be. Is it because we worked higher up on the hill and everything eroded down, or was this area used for other purposes then settlement? Focusing on finding answers instead of artifacts has made these last few weeks of the project much more enlightening then the first week. I suppose to someone wiser than I, the difference between collecting data and finding things would be obvious. Collecting data is all about asking questions and looking for answers, finding things is just that: finding something. But that in itself doesn’t tell you much about anything. So despite all the sarcasm the team leaders say it with, walking fields really does build character: it forces you to look at the bigger picture than just your unit and just your team… A lesson that every 20 year old probably needs to learn. Since we’re all about efficiency and archaeological Taylorism here on the Western Argolid Regional Project, I decided to run some numbers, out of curiosity more than anything. The primary productive unit of the survey is the five member field team. It consists of a team leader and four field walkers. They walk an average of slightly over 100 units per day with occasional outings in the mid-100s. We run 5 field teams a day since one team is in the pottery storerooms. It takes field teams about 7 minutes to walk the average unit with some units taking as much as 7 or 8 times that long (and others taking almost no time). Most teams start their first unit a little after 7 am and finish their last unit around 12:45 pm. So our field day runs for about 6 hours (to simplify). The teams walk for about 2 hours, 15 minutes per day (or about a third of the time their in the field). The rest of the day is devoted to filling out forms and traipsing from one unit to the next. Lest this makes our field walkers sound lazy, I should point out that, over the course of our field season field, walkers walked over 1000 km (that over 600 miles for Americans). There’s no lack of energy and commitment on the part of our field walkers! What I discovered is that the average field team used only 3 walkers for field walking. In fact, the average number of walkers per field was almost exactly 3 (the mode was also 3). This got me thinking that, next year, we should take our 6 field teams of 4 field walkers and divide them into 8 field teams with 3 field walkers. This would have the clear advantage of putting 7 field teams into the field daily (with one team heading to the pottery storerooms each day), and this should increase the number of units walked per day by about 40%. When I pitched this to a few team leaders, they responded that the teams often used the fourth field walker to help record information when not walking units. If resulted in an increase in efficiency, we should see that 3 walker units are completed more quickly than 4 walker units. The numbers, however, don’t bear this out. Both 3 and 4 walker units get done in about 9 minutes despite 4 walker units being generally longer (by around 25 meters) than 3 walker units. So, there doesn’t seem – on the face of it – to be any real efficiency gained by 3 walker teams. (I do know that some field teams operated at below full strength, but even when I did some rough work to control for this, it didn’t seem to impact the overall numbers very much). There is one hitch: Around 65% of our units used fewer than 4 walkers, but about 20% units used 4 walkers exactly. But this, I think, is an artifact of our units being mapped to accommodate 4 walker teams. This might account for why units with more than 4 walkers (but less than 9) average about 11 minutes which is a substantial increase over those with 3 or 4. This is the result of teams having to double walk the unit; that is: walkers having to walk the unit once and then again. Curiously, the 11 minute average is not twice the time taken to walk a unit where every walker walks only once. This is probably because we tended to make larger units from areas where the fields are disturbed and unlikely to produce much pottery. While I haven’t run the numbers recently, historically our ceramic densities decline as unit size increases. So, I suspect one thing that might happen if we shrink our field teams is that we’d shirt our unit size to accommodate the smaller teams. So we’ll do more units, but maybe not survey more ground. Of course, to make this all work, we have to find two more excellent team leaders to complement our fine group of six. Moreover, we’d have less margin of error for individual teams. This year we lost a few field walkers each week to ailments ranging from dehydration to sea urchin attacks. Teams dropping to two walkers would struggle to be flexible enough to walk large units and would probably suffer just walking average sized units. Embiggening the number of teams (by debigulating the number of walkers) might also lead us to increase the number of cars and would almost certainly require us to increase the number of devices assigned to team (cameras, GPS units, Sharpies, et c.). But as a good buddy once quipped, if you can’t afford to do maximum archaeology, perhaps you should just stay in the library. There’s a good bit of buzz lately about Apple Music’s “curated” playlists, and TIDAL, my preference for a music streaming service, offers a range of curated music playlists as well. In general, the term curation, like crafted, artisanal, or any of the other tech-media, marketing buzzwords has come to mean that a human, rather than an algorithm has produced a collection. As many, many have observed, the term curation is annoying and overused. But I still want to use for a little bit in reference to our work on the Western Argolid Regional Project. This morning, I took some time out of the field to start to analyze some of our finds and field data. We plan to revisit a few units before the season concludes and to collect some more material. Our hope is that these targeted revisits will help us both to refine our survey methods by offering some points to calibrate our sampling strategy, they’ll help us produce more robust assemblages of types of pottery that might only appear in very small quantities using our typical collection approach, and revisits will allow us to document archaeological features a bit more intensively than we would have time and resources to do over the course of intensive survey. We target sites for revisit in three ways. First, our field teams can tick a check box and provide a brief explanation for why a particular unit is worth revisiting. Our ceramicists, Scott Gallimore and Sarah James, can also identify units as being interesting, important, or confusing and consequently worth revisiting. 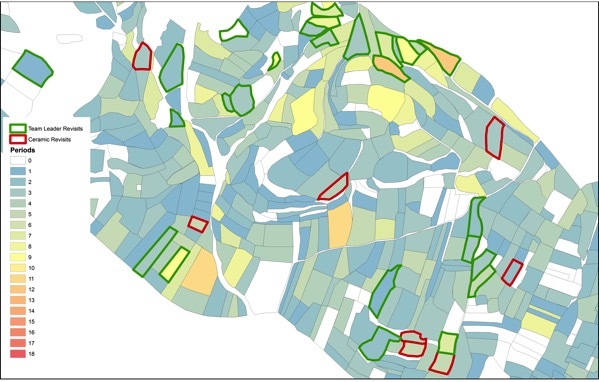 Finally, we can analyze data through our GIS and databases that target units with certain characteristics (such as low visibility with either high densities or diverse assemblages). Our revisit lists generated by team leader and ceramicists are not fortified by statistics, but generated through careful observations and total situational awareness. These units represent the slow archaeology approach to landscape and artifact analysis. So far, it has been heartening to recognize that the lists of revisit units curated by our team leaders and ceramicists are remarkably consistent with the units generated from my analysis of our various databases. In fact, combining the curated list of unit with list of units generated through our analysis of GIS tend to complement each other by expanding the potential target units for revisit. As we nuance the criteria for revisit a bit over the next week, I’m sure that we’ll discover some counterintuitive units that will serve as tests of our archaeological instincts. For now, though, we’ll proceed into the final week of the season with just a bit of confidence that our experiences in the field and at the pottery tables reflects the complexity of our study area. 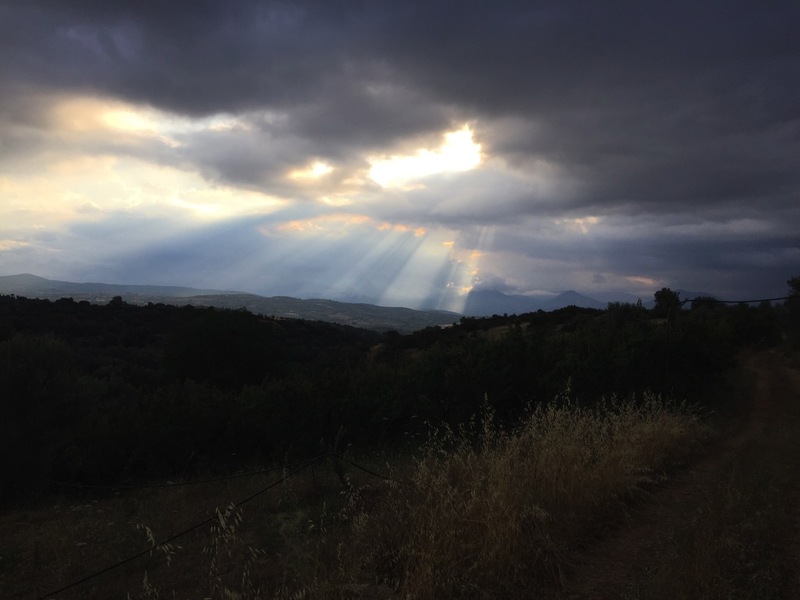 Our field season at the Western Argolid Regional Project has felt the impact of the Greek economic crisis in rather direct ways. Suddenly all the undergraduates decided that they needed cash and our graduate students have discovered long-neglected piles of receipts that require immediate reimbursement. We’ve made more trips to the ATM than usual, have begun to conserve cash, and have started to feel a bit nervous about the complex web financial arrangements that an archaeological project relies upon to survive. Our insecurity and inconvenience, however, are nowhere close to what most Greeks are experiencing right now. The media appears to share our concerns about how the current crisis in Greece will impact both Greece and the rest of the world. Despite this concern, it would seem that many commentators struggle because they have only a very basic understanding of modern Greek history and, as a result, are only too ready to fall back on unhelpful statements about Greece’s ancient traditions of democracy or their foundational role in European civilization. It is nice to remember that our notions of democracy owe a debt to ancient Greece, but it is more important to recall that in the modern world, democracy remains more a lovely Western, historical fantasy than a consistently applied set of political principles. This tendency to look back seems to have obscured any critical understanding of Greece’s recent past. For example, few commentators have noted that Greece is among the oldest nations in Europe, but even at the very moment of its birth the powers of Western Europe took an active role in shaping its future. Few have recognized or discussed the difficult periods of financial dependency which robbed Greece of political independence throughout the last 150 years. Finally, commentators have generally overlooked the painful political experience of the Greek Civil War and rule of the military junta which shape Greek attitudes toward modern democracy and European intervention. Whatever the outcome of Sunday’s referendum, the results will express the unique history of the modern Greek state more than any Classicizing fantasy about the ancient origins of European and Western democracy.